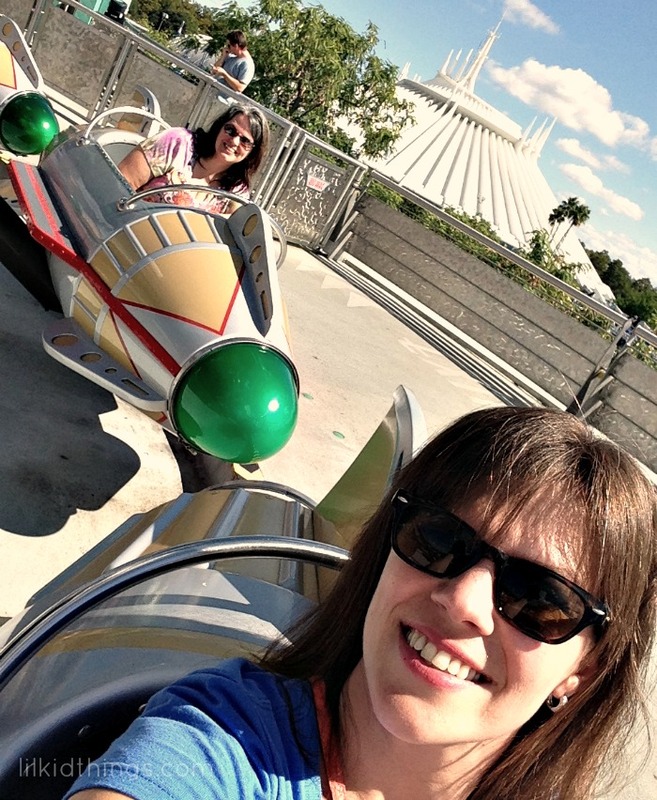 Last weekend I took a quick trip down to Walt Disney World with my two sisters and our mom. It’s a trip we’ve been wanting to do ever since the last one nearly ten years ago. I have no idea how time sped by us that fast, but after almost a year of planning, we finally chose a time when our kids were taken care of and we made our trip happen. It was a whirlwind four days including the drive from NC to Florida and back, shopping, lots of great food, fireworks and of course, Disney Parks! On Monday, we decided to grab a park hopper ticket and go for broke. We were at the Magic Kingdom before “rope drop”, which means we got to see the opening show they do almost daily. As a Florida native who often drove over for a day at the parks, I didn’t realize this even existed until I was an adult. Now I try to make it any time I can. Who doesn’t love a good countdown? It just sets the tone for the day. 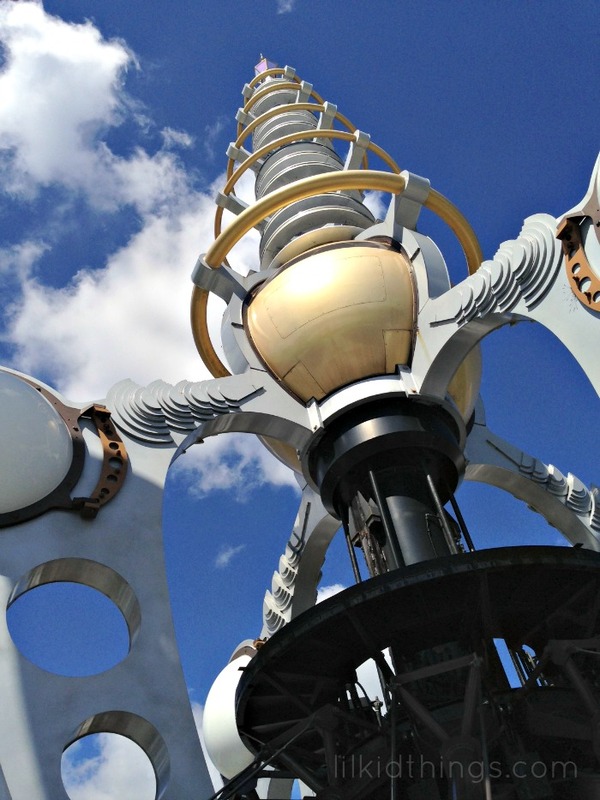 I’ll be sharing more about our visit in other posts, but today I want to focus on one of my favorite (and sometimes forgotten) rides, Astro Orbiter. 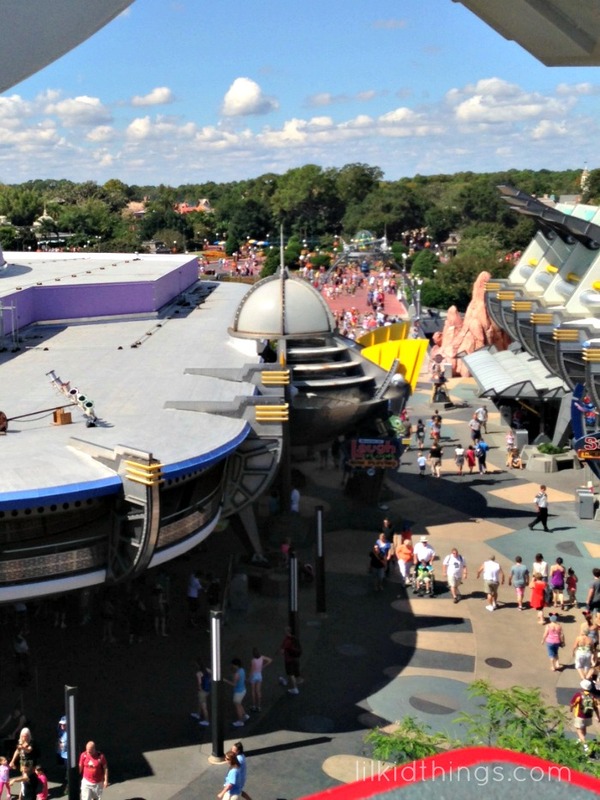 High atop a building in Tomorrowland, Astro Orbiter is what I used to describe as “Dumbo on top of a building”. 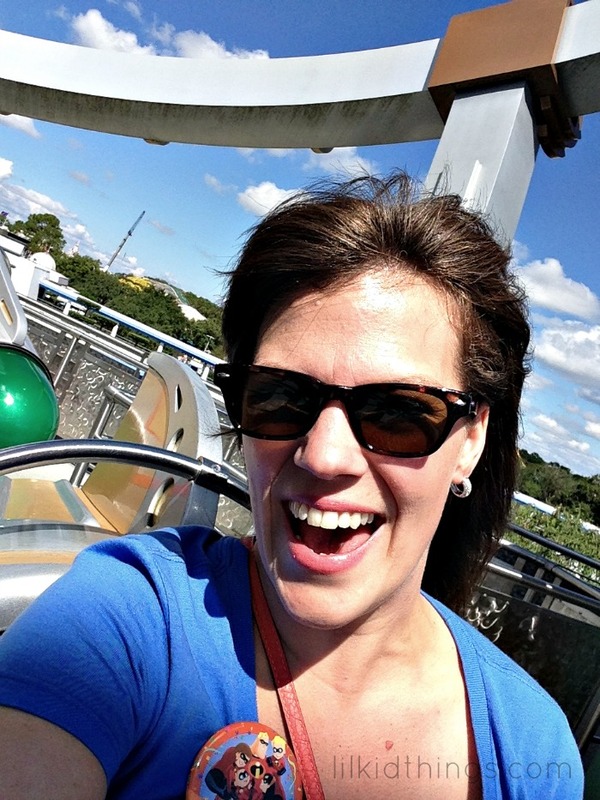 However, my memory was too kind and since I haven’t made it onto this ride in more than a decade, I would now like to change my description to “Dumbo on fire on top of a building”. The ride is much faster than it looks and centrifugal force is definitely going to pull you up up and away. My sister, Amy (back) decided to ride this with me on Monday based on my original description. She was a little nervous because of the height and the fact that the building bounced a bit when the ride was moving. As we watched it gently glide around and around, we relaxed because it seemed to fit into our little comfort zones and it was over quickly so we calmly boarded our rockets. I really wanted some photos of the park from this perspective so I got all buckled in and started snapping furiously from the start. Then I realized that the higher I went, the more sideways I was! The rockets started going faster and faster and I could hear my sister laughing hysterically behind me. I flipped the camera around for a quick laughy-selfie because we were really having a ball! My memories didn’t do this ride justice. Astro Orbiter is definitely an adventure you don’t want to miss! Definitely one of the days’ highlights. 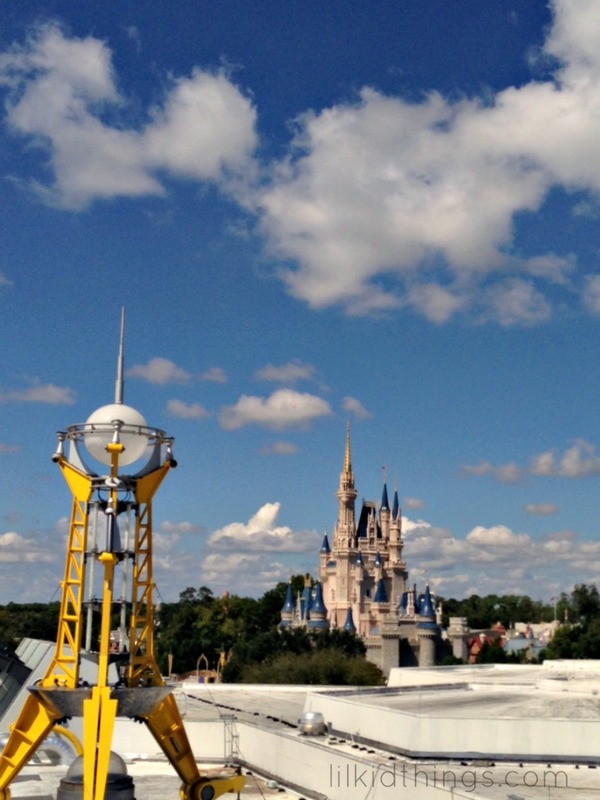 Check out Tomorrowland and Cinderella’s Castle from this vantage point! Definitely worth the wait. Astro Orbiter does not have a FastPass system and the wait is usually a minimum of 20 minutes because passengers must ride elevators up to the launch pad. Once we were flying through the air, I remembered why Astro Orbiter was always a favorite growing up. I am so glad we made time for it! What is your favorite Walt Disney World ride? I was just on that the other day too! It’s a good way to cool off a bit on a hot day, lol. I agree! It’s actually got a great breeze up there and the queue is shaded! I love this ride. Last year we were in WDW for Mickey’s Very Merry Christmas Party and rode the Astro Orbiter during the evening fireworks event. It was amazing! Oh that would be a fabulous time to ride! I have never ridden this one! Disneylands version- yes, but not the high up in the sky WDW version! It’s on my list for Wine and Dine weekend! Did you make it, Patty? I was just thinking about this again and I wish I could go right now! I did!!! And it was AMAZING. But I guess I missed the part about splitting up 2 adults. Cause DH and I were crammed into one. LOL But it was so fun! Amazing view and now a total MUST DO! That’s so awesome! I’m glad you had fun! They let us choose between alone/together. Maybe it was a slow day haha.